Theme is a concept that students struggle with even at the ninth grade level so I'm always looking for new ways to teach it. This year I came up with the idea of having my students make theme collages to reinforce the idea that themes should be messages about life, which are general enough to apply to situations outside of a text. 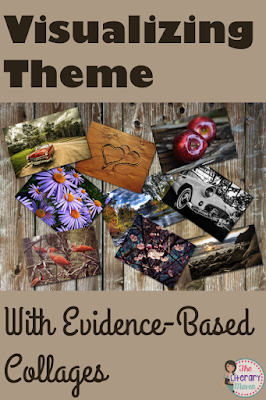 The first step in creating a theme collage is figuring out the theme! Students used this graphic organizer to collect information from the text that would help them to determine a theme. I gave students a choice of two short stories, but you could use a variety of fiction or nonfiction texts. Students answered the following questions: Who is the main character? What are the conflicts? How does the main character react to them? What does the main character learn or how does the main character change as a result of the conflict and its outcome? 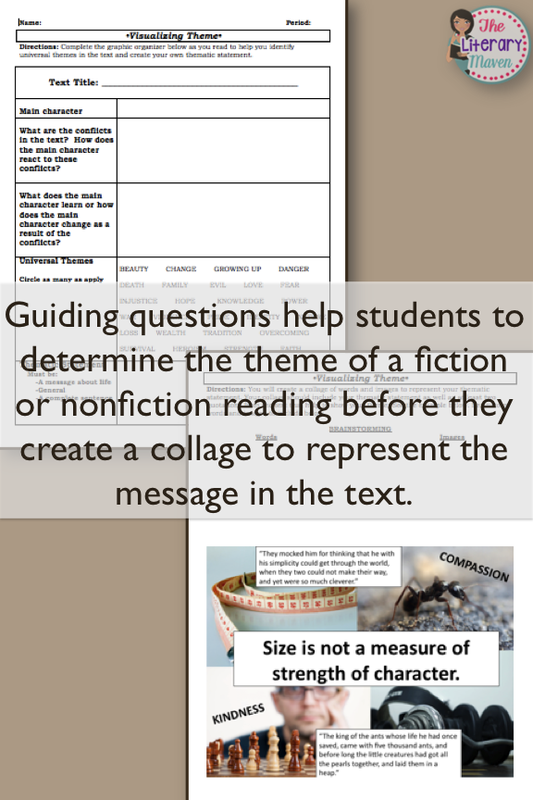 Answering these questions will help students begin to think about the theme, or message, of the text. the text, circling as many as apply. 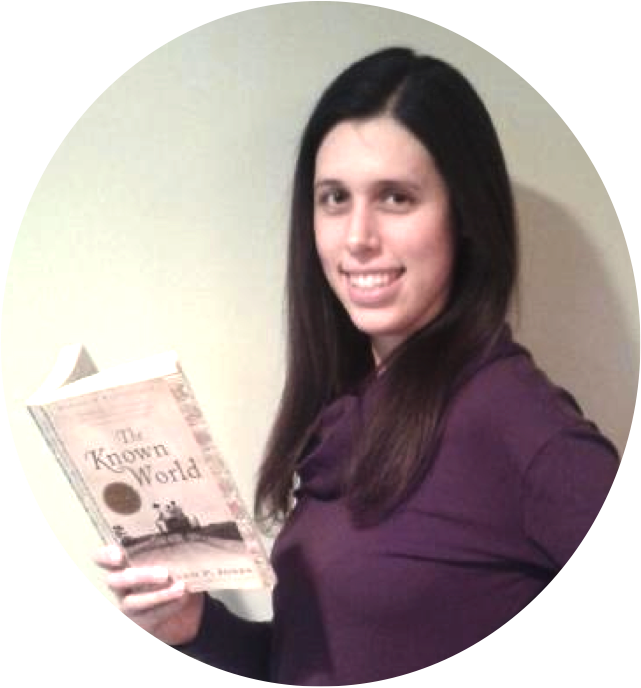 Universal themes are the “big ideas” present in literature across cultures and throughout time periods. 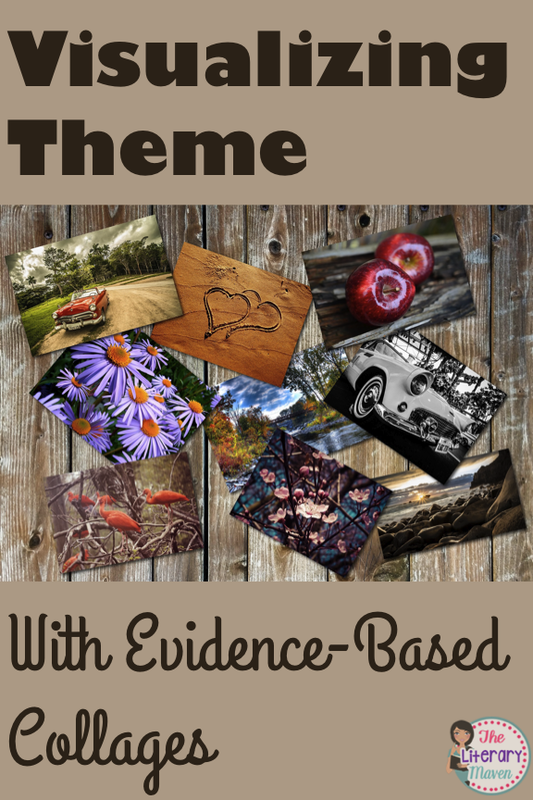 Identifying these universal themes will help students to craft a thematic statement, which must be general (it cannot name a specific person, place, etc. ), a message about life (true in the text and in real life), and written in a complete sentence. Once students have gotten the check of approval from me for their thematic statement, they can move on to brainstorming words and images that they want to include in their collage. 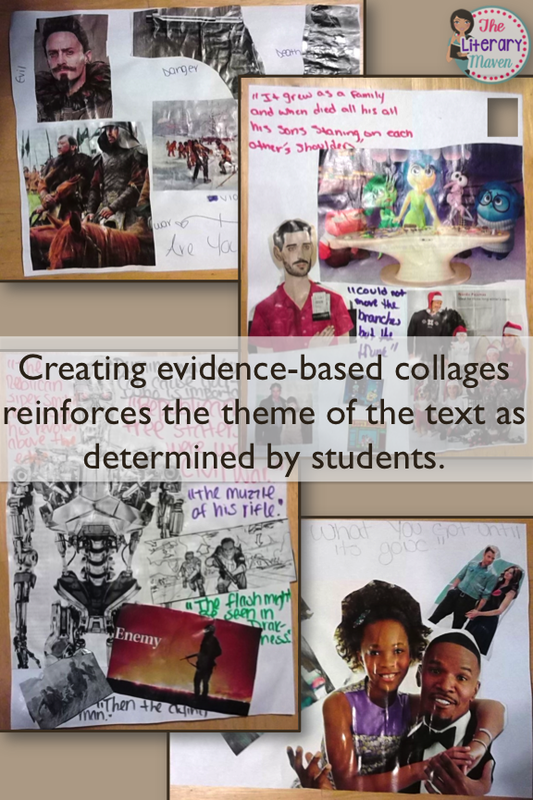 Their collage must also include their theme and two quotations from the text to support their theme. Brainstorming is key because otherwise students will just endlessly look through my stack of magazines. Their list of words and images keeps them focused on what they are looking for. Then it is time to bust out the scissors, glue, and magazines. I put a time limit on this activity because even ninth grade students love to play with scissors and glue. At the end of the activity, I have students do a gallery walk of their classmates' work so they can see other examples of themes. I know that all of their final products will be exemplars because students had to support their theme with evidence from the text as well as related words and images (my check of approval is more of a formality). If you are interested in doing this activity with your students, you can find the directions and handout here. You could also easily do a higher tech version of this activity by allowing students to put together their collages in PowerPoint and then post them on a class website or share them using Google Drive.